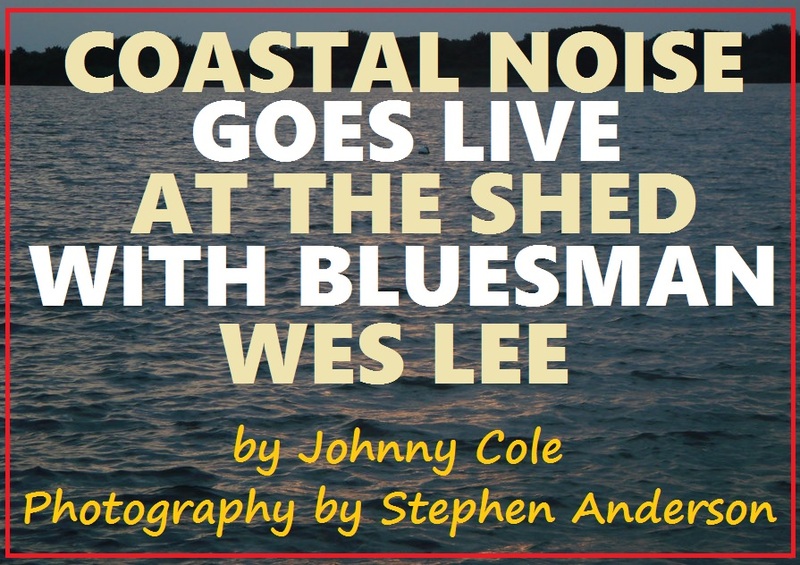 The Southland Music has enjoyed a good relationship with Stefan Lawson and Coastal Noise since the beginning of 2015. We have traveled and seen lots of great music together and, hopefully this is only the beginning. 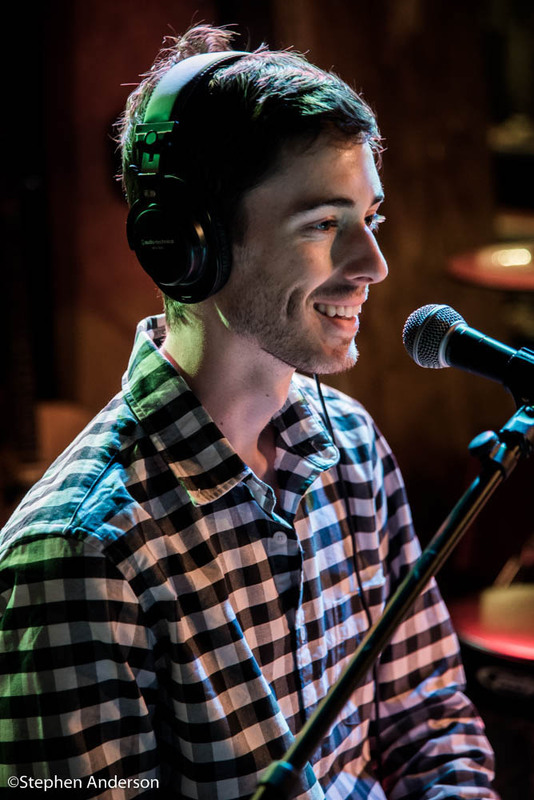 Lawson is a musician, photographer, blogger and host of the highly successful podcast “Coastal Noise”. A wide range of topics are discussed at Coastal Noise – politics, social issues, movies, travel, history and yes, music. I have personally had the privilege of appearing on the podcast to discuss the history of music along the Gulf Coast and The Line’s travels in search of new and exciting music. Every opportunity on Coastal Noise has been memorable and a chance to learn others’ insights and appreciation for music, as well as a variety of subjects. 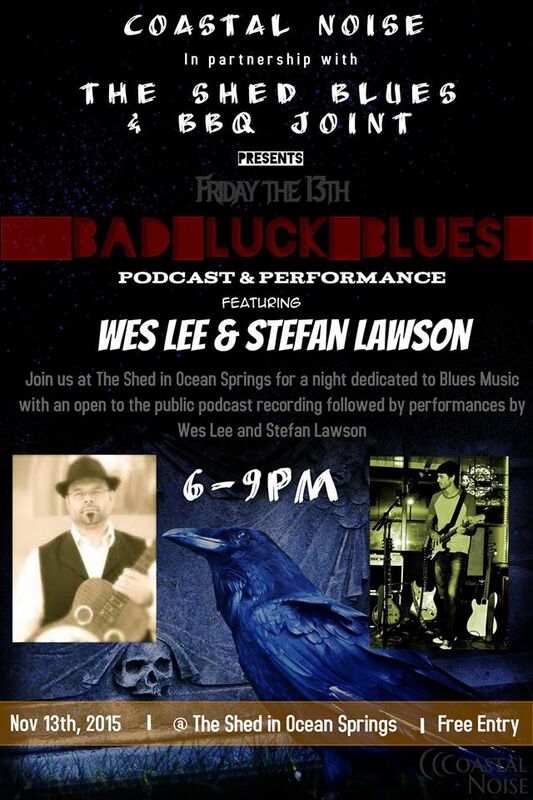 On November, Friday the 13th in 2015 on what was billed as “Bad Luck Blues ” Lawson, himself a student of the blues, sat down with blues musician, Wes Lee at The Shed in Ocean Springs, MS aka Hwy 57 & I-10 Crossroads* (see footnote). 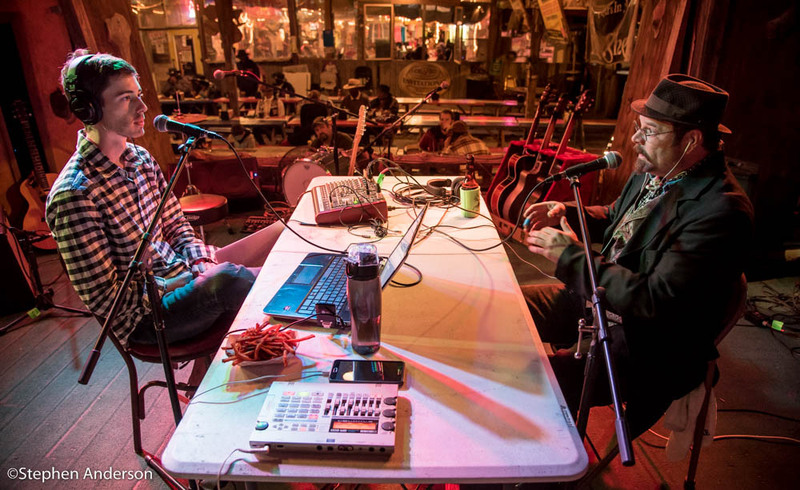 Lawson and Lee spent approximately an hour or more discussing Lee’s musical journey as a young traveling jazz musician from southern Alabama to one of today’s increasingly more popular musicians dedicated to the blues and American roots music. 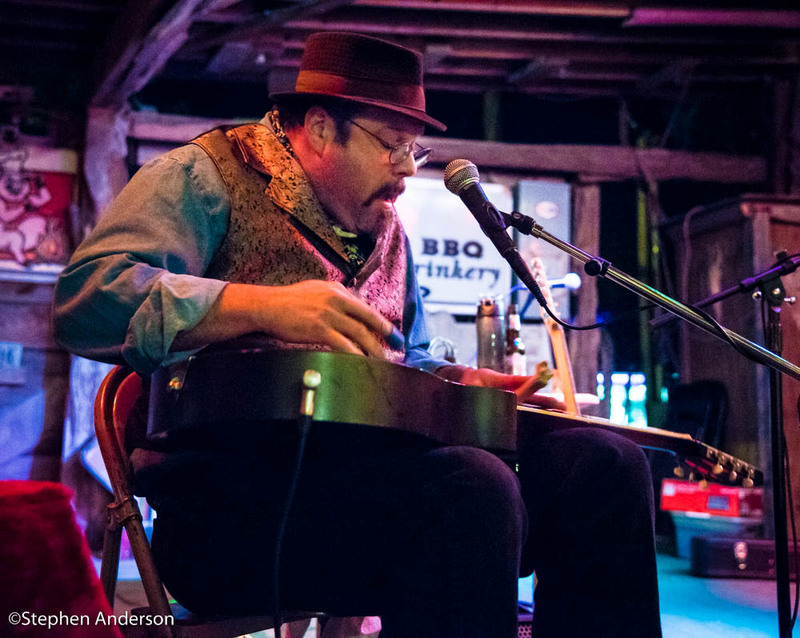 As a solo artist, he can be seen performing regularly in venues everywhere; and as part of the highly successful Jericho Road Show along with Rambling Steve Gardner, Bill Steber and Libby Rae Watson, he brings his style of music to an ever-growing fanbase. 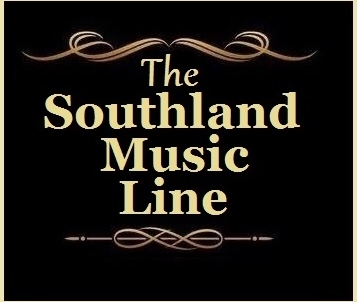 Lee has been featured in two articles at The Southland Music Line entitled: “Wes Lee: A True Disciple of the Blues – A Homecoming to a Listening Crowd” (July, 2015) and “Acoustic House Party & Traveling Road Show Comes To Birdie’s Roadhouse and Tours The South” (Sept. 2014). The conversation at The Shed between Lawson and Lee was quite a joy to hear (and see live). So much was discussed which helps me further appreciate Wes Lee – the musician, performer, historian, family man and friend. 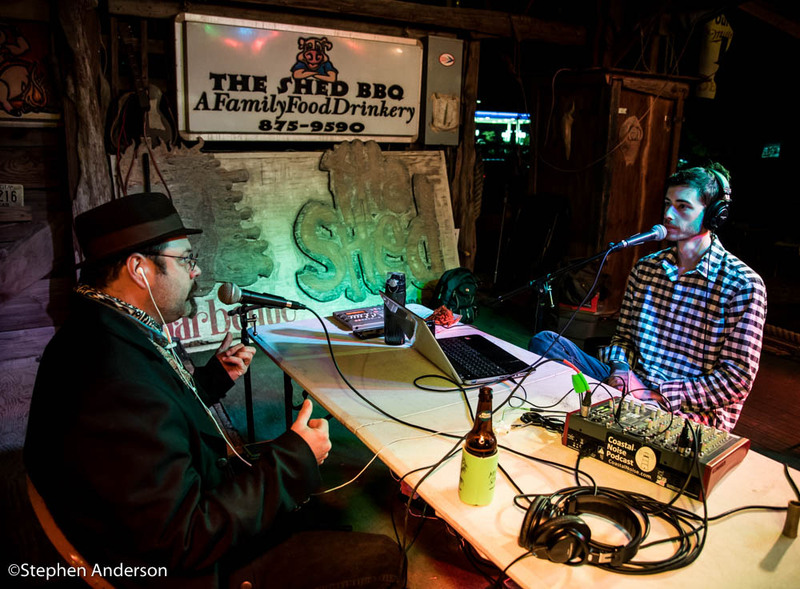 Following the sitdown live podcast discussion, Lawson joined Lee for a performance of some of their favorite blues classics and several original numbers, both have personally written. The Southland Music Line’s Stephen Anderson (photographer) and Robby Amonett (artist) also attended the event. A Special thanks to photographer/live music organizer Fred Salinas and The Shed BBQ & Blues Joint. *“Hwy 57 & I-10 Crossroads”: a name given to The Shed in Ocean Springs, MS by Johnny Cole of The Southland Music Line. The Line frequently mentions this popular crossroads place known for its association with great music. 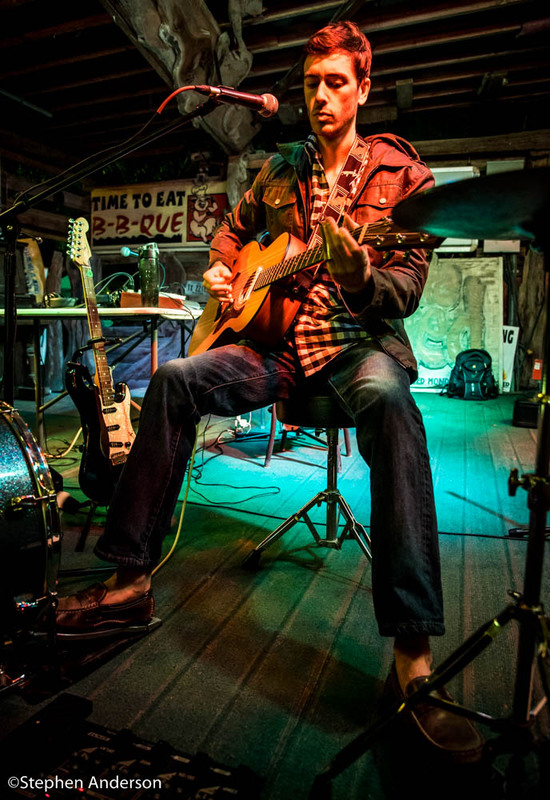 Click Here to Purchase the Music of Wes Lee. 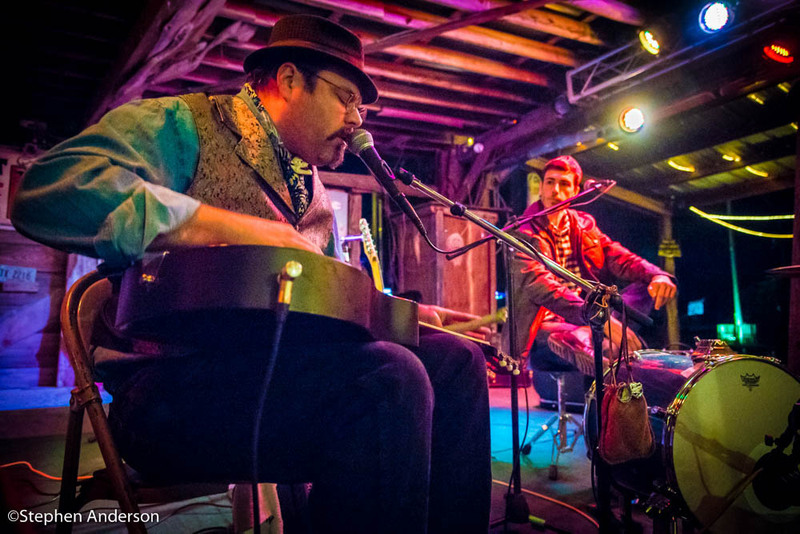 * The Bogalusa Blues & Heritage Festival 2015: Another Exciting Year! Tagged Gulf Coast Music Scene, Mississippi Gulf Coast, Mississippi Gulf Coast Music Scene, Podcast, Robby Amonett, Southern Music, Southern Music Scene, Southern Music Venues, Southern Musicans, Stefan Lawson, Stephen Anderson.